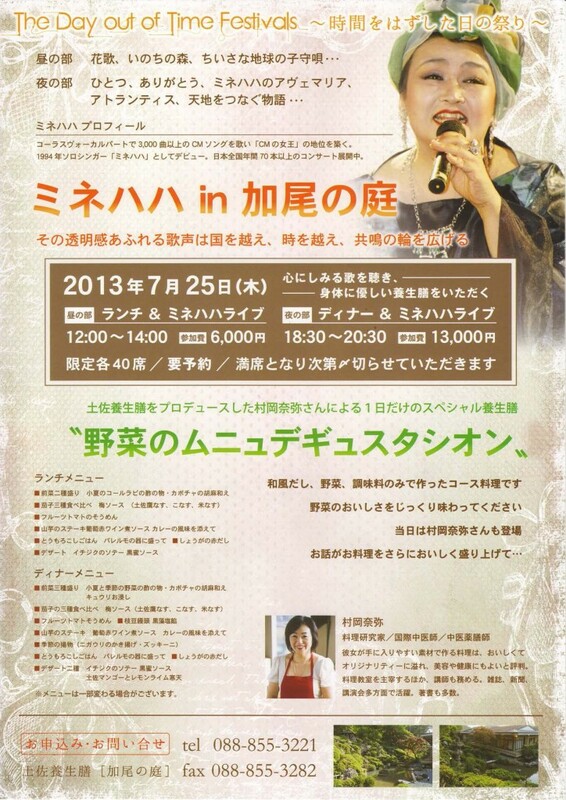 Menu degustation of vegetables cooked by Naya Muraoka, a cook of traditional Japanese cuisine and a doctor of Chinese medicine combined with the concerts by Minahaha, who sang over 3,000 commercial songs. She is now a solo singer who travels widely over the world. Her repertoire includes “Lullaby to the Earth”, “Atlantis”, “Ave Maria”, “Arigato”, etc. ‐crop circles are messages from higher dimension.